Home > Mens > Nautica Men’s Non-Iron Tech Classic Fit Spread Collar Solid Dress Shirt Only $16.99 From Amazon! 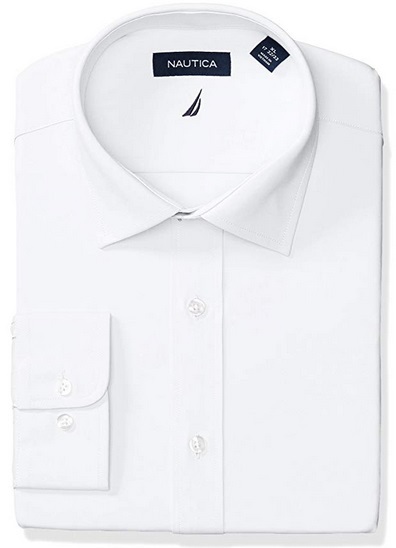 February 10, 2019 Comments Off on Nautica Men’s Non-Iron Tech Classic Fit Spread Collar Solid Dress Shirt Only $16.99 From Amazon! Amazon has the Nautica Men’s Non-Iron Tech Classic Fit Spread Collar Solid Dress Shirt marked down to only $16.99! NOTE: Some sizes may be temporarily out of stock from Amazon, but you can order at this price and Amazon will ship when back in stock!